I love apple pie. It is one of my favorites. The one thing I don't like are uncooked pieces of apple in my pie. Some might prefer that crispness but neither of us do. 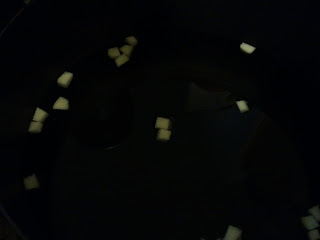 That problem is solved by making my own filling and cutting the apples into small dices so they cook during processing and if any are still tough the pie baking will finish cooking them. Not to mention filling made this way is so versatile and can be used for turnovers, coffee cakes or whatever else you might like apple in. Dicing the apples also solved the problem of some of my apples already turning brown in spots. I could just cut away the worst and still have plenty of pieces. 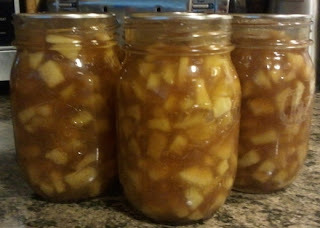 I had bought the apples almost three weeks ago and was really worried but I still managed to get 7 pints out of them. 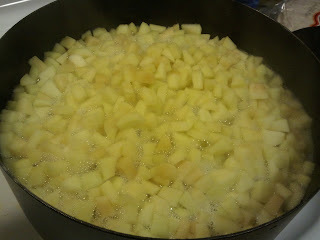 Other than coring, peeling and dicing the apples the process is quite easy. 1/4 cup clear jel Do not use corn starch as a substitute. 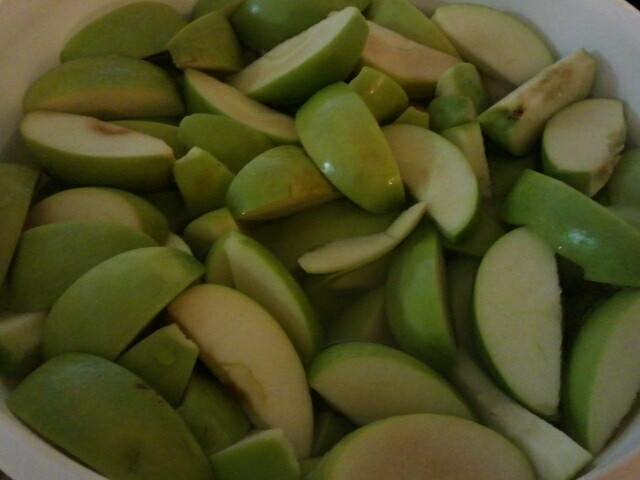 Start by coring and slicing the apples. Peel and cut the apples into desired size, you can make just slices or bigger chunks depending on your preference. 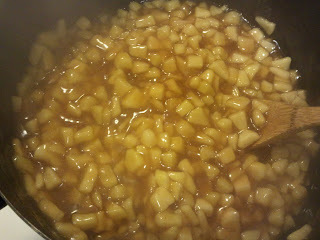 Blanch the apples for 1 minute. (Bring a pot of water to boil, add the apples, return to boil for 1 minute.) Drain. Add the remaining ingredients EXCEPT lemon juice into large pan. 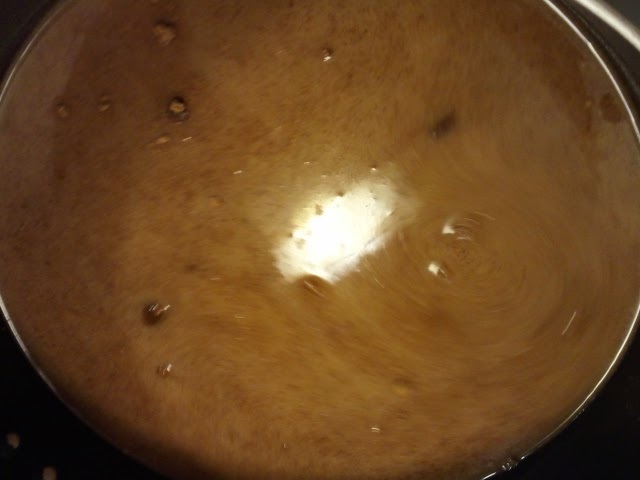 Stirring constantly bring to a boil, add lemon juice and continue to boil for 1 minute. 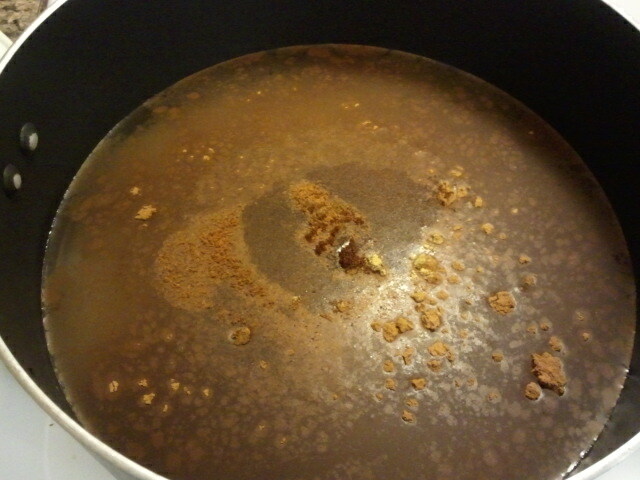 Mixture will be very thick. Pour the liquid over the apples. Place into hot jars leaving 1 inch head space. Put hot lids and rings on. Process for 25 minutes in hot water bath. I now have enough for three pies and one extra for turnovers or whatever else I like. I had less than 18 apples to get this amount. The entire process only took a couple of hours. So if you've never tried canning and want to this is a great one to start with. Thank you for stopping by. 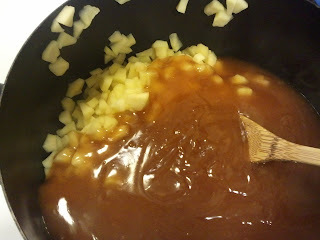 Let me know if you try the recipe and what apple creations you come up with. I love the feedback!